For a free quote or booking, please fill in the form below and your local franchisee in Bentleigh East will be in touch with you shortly. Jim’s Car Detailing Bentleigh East is a mobile car wash and detailing franchise business servicing Bentleigh East and its surrounding suburbs. We come to you and detail your vehicle at your home or workplace, so don’t waste your valuable time waiting at a car wash. All work is done by a professional detailer at a location that best suits you. Jim’s Car Detailing Bentleigh East offers a wide range of services including inside and out cleaning, car seat steam cleaning, car carpet steam cleaning, full interior steam cleaning and detailing, cut and polishing, full and pre-sale detailing, headlight restoration, paint correction, paint protection, leather cleaning and conditioning, overspray removal and signage/sticker removal. We also specialise in truck detailing, bus detailing, boat detailing, caravan detailing, motorhome detailing and many other vehicle types. 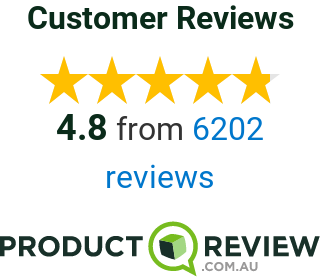 Review by Tom S: Great Car Detailer! “Absolutely incredible service. I have been using Ainsley Starr from Jims Car Detailing for a little over 6 months now and his passion and skill is simply unmatched. He comes in and details my company’s 4x vans on a regular basis and I am never unsatisfied by the result. Consistency is key in this field and I am always sure I will get an amazing result. Just the other day my Mercedes got keyed and Ainsley managed to somehow remove the visible signs of it and give the car complete detail taking the car back to the way it was the day I drove it out of the dealership. When you call Jims be sure to ask for Ainsley! Bentleigh East is a suburb in Melbourne, Victoria, Australia, located 14 kilometres from the CBD. Its local government area is the City of Glen Eira. At the 2016 Census, Bentleigh East had a population of 27,635 up from 25,925 in 2011.